Jeffrey Pang loves to travel, throw yoyos, and create beautiful things. His latest beautiful thing is the Luftverk x CLYW Tundra, which he’s throwing (quite nicely, I might add) in this latest love letter to his well-worn passport. Watch as Jeff travels through Macau, Hong Kong, Taipei, and Kyoto with the Tundra. Amazing, as always. Yoyo used is the Luftverk x CLYW Tundra. By now you’ve likely heard about the Tundra – the project involving both Luftverk and CLYW. It was something we worked together with, using design language from both companies. 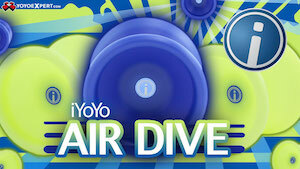 Its always really interesting when a brand can make a yoyo that has a universal design language across the board. 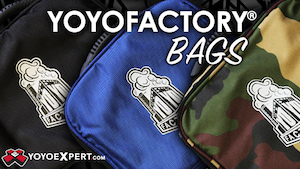 And even though the CLYW line up has expanded to more experimental designs lately, its always very obvious it is a CLYW product – even without looking at logos or engravings. I try to do this with Luftverk as well, where when you pick one up you just know who produced it. The design of the Tundra seems simple but is actually a mash up of all sorts of things. If you take a look at the profile – you can see that the catch zone was inspired by the Chief and original Yeti. Getting closer to the pad, the step is similar to the Borealis. And don’t forget the pad itself: the very loved CLYW “Snow Tire” which makes the yoyo feel very, very different than any Luftverk throw in the past. 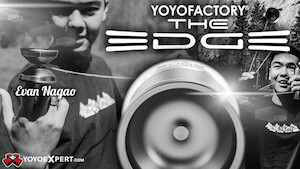 In fact – I feel that the pad itself makes this yoyo play the way it does. You need to try it in person to know what Im talking about. The Tundra will be first available at the 2016 World YoYo Contest, beginning August 3rd in Cleveland, Ohio, and then online August 5th at 8 pm EST, only at Luftverk.com. Check out the full blog post about the design and assembly process here, and then check out specs and more pics below.